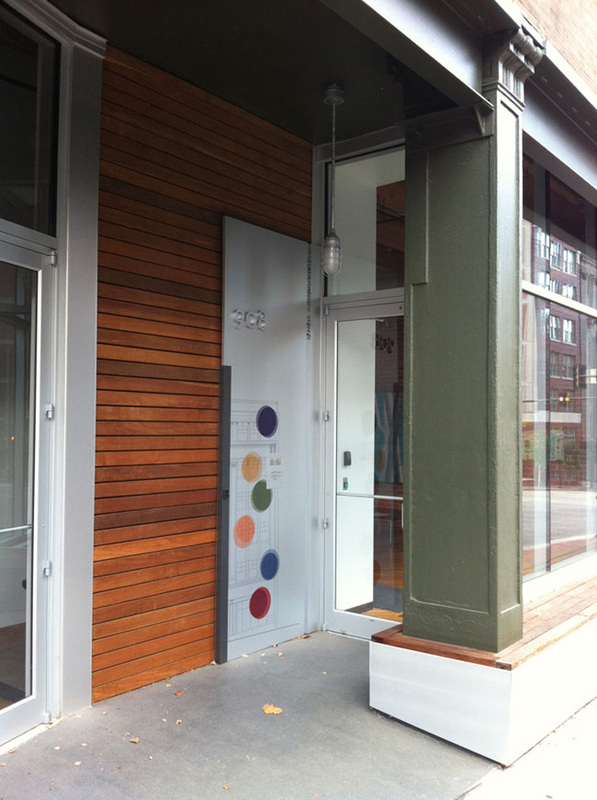 One of my favorite past projects (908 Broadway Environment) with a “facelift” in late summer, 2012. Thanks to the genius of RMTA (Matt Masilionis & Mike Paxton) this space is looking AMAZING! 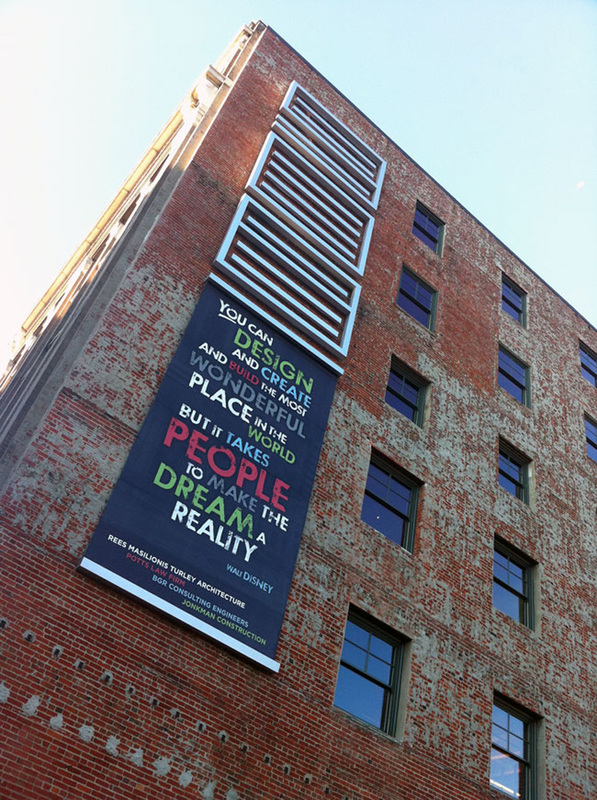 We graphically capped-it-off with a new message banner on the building’s north side. Looking good fellas!